You’ve likely noticed the increase in the number of videos on the Internet in recent years. Nearly any type of company benefits from video marketing, because videos provide users with an easily digestible format for information. About 83 percent of marketers say they think video’s importance is growing. There are more opportunities than ever before for getting your videos out to the public, such as Facebook Live, Instagram and, of course, the ever-popular YouTube. Company videos offer many benefits to business of all sizes and in all industries. Out of 1,000 marketers surveyed, around 70 percent said they believe videos help increase their conversion rates. Users comprehend video more easily and faster than text, so you’ll make more of an impression with one minute of video than a lengthy article. Of course, there are many different types of videos, from storytelling to highlighting a product or service to customer testimonials. One thing all your videos should have in common is a compelling call to action at the end. Show the personal side of your business with a video telling your brand’s story. Nearly every organization has a unique reason or purpose. Explain where you started and why you went into business in the first place, then share your brand story with potential leads. Your story can be a brief history of your company, spotlighting key employees or even what your mission is, such as helping the underprivileged in your community. 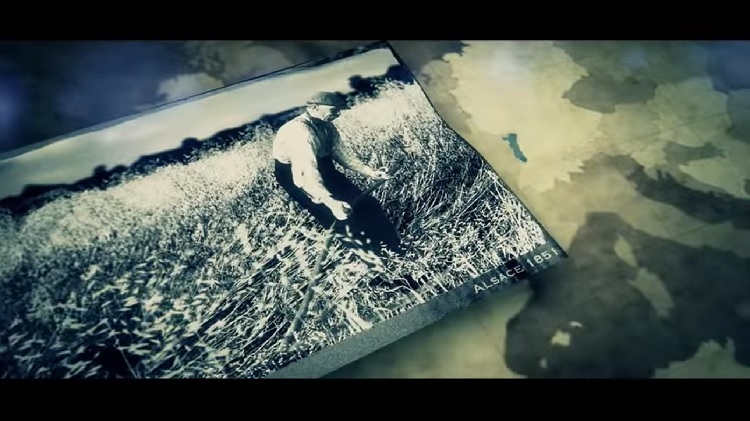 Louis Dreyfus Company offers a snapshot of its long history by explaining how the company started and sharing photographs from years gone by. A narrator describes the company’s growth over the years. The video instills a sense of confidence in customers because it demonstrates that the business has staying power. Most marketing departments spend a lot of time figuring out how to drive traffic to their website, but not as much time on how to keep people there once they land on the page. Anything you can do to make your site a bit “sticky,” so it grabs users’ attention and makes them want to stay on your page, works toward increasing interest in what you have to offer. Videos engage users from the minute they land on the page. While they might skim over text, they’ll stop and watch a video and then take some action after viewing the clip. Around 71 percent of marketers feel video increases the time users spend on a webpage. Depending upon what type of business you own, one of your biggest hurdles may be in educating users about what you do and how it benefits them. The need to teach users about your product is particularly true for business-to-business companies because you must show the other brand why your product or service benefits them. Frommer D’Amico is a workers’ compensation law firm. 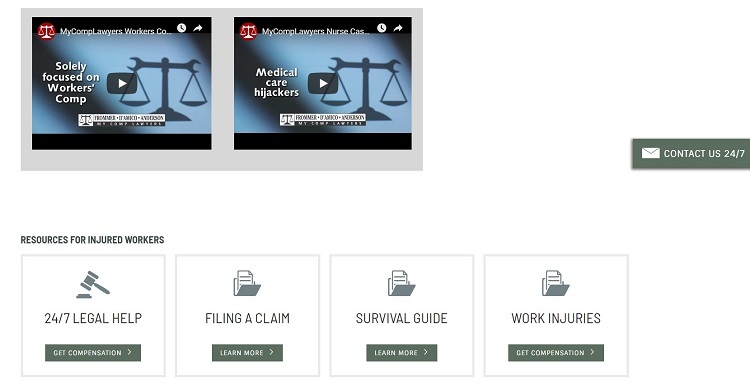 Employees may not fully understand their rights, so the firm offers videos that educate consumers on topics such as insurance companies using unsavory tactics to control the outcomes of your medical care after a work injury. If you create videos that resonate with your target audience, you’ll build trust between you and your viewers. If customers trust you, they’re more likely to do business with you. Don’t be afraid to show off your brand personality. Make videos personal by adding interviews from company leaders or showing customers some — but not all — of your insider secrets. Researchers predict around 175.4 million people will watch videos on their mobile phones in 2019. Providing video reaches those accessing your website or social media accounts via their smartphones. Most mobile users will look at their phones while they’re out and about, and may not want the sound to play. If someone views your video without audio, will they still understand the message? Adding features such as captions makes a significant difference for mobile viewers. 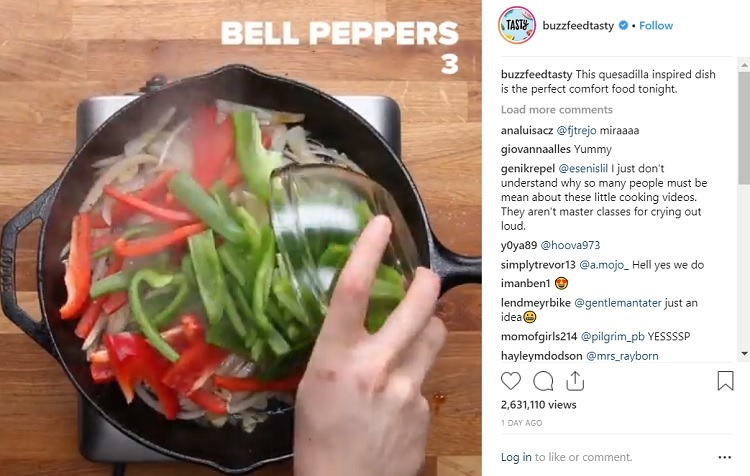 Tasty‘s Instagram account features dozens of recipe videos. One thing they do well is adding captions in a place that isn’t distracting, but gives clear instructions about what to do next to make the dish. Their focus is comfort food, which ties into their product and the audience they’re trying to reach. Adding videos to your social media channels provides followers with something of interest to share with their friends and family. Ask your followers to share your videos, and watch your reach expand beyond your immediate customer base. This method is particularly useful for B2B businesses. When business owners see someone else using your services, they’re more likely to take a second look at your brand. Never underestimate the power of keeping your audience entertained. Anytime you capture the imagination of your users or tap into human emotion, you increase the odds they’ll stick around to learn all about your company. You can use humor if you’d like, but you don’t have to. The key to engagement is figuring out your audience’s concerns and addressing them. Tell a story about another customer who dealt with a similar situation, for example. 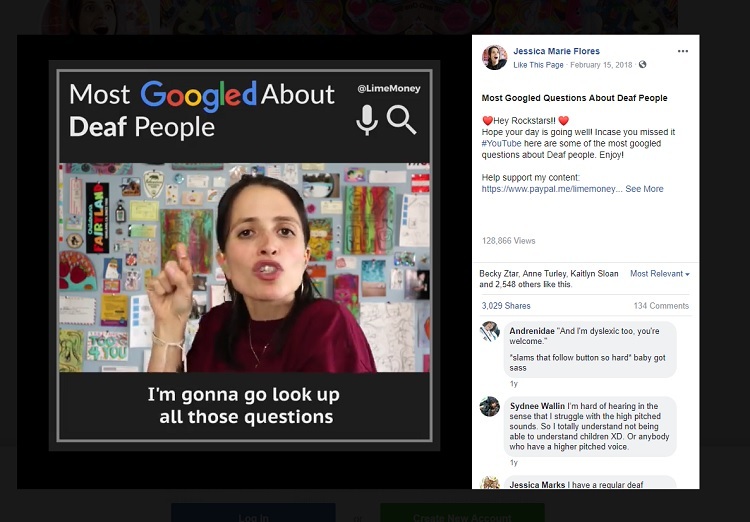 Jessica Marie Flores is a deaf comedian and deaf awareness educator. She creates videos answering some of the most common questions about deaf people, such as if a deaf person can drive a car. She shares her videos on Facebook, Instagram and YouTube, reaching as many different people as possible to entertain and educate at the same time. A simple video is one of the most effective online marketing methods and costs very little to produce and share. Most businesses reach their target audiences on social media. For example, on Facebook, you can boost a video post to a particular audience segment, allowing you to create a highly targeted campaign that appears only to those people most interested in what you have to offer. Think about the many different places for sharing your company videos. In addition to your website, look at the social media networks that attract your typical user. For B2B companies, LinkedIn is an option, while B2C companies might be better off on Instagram or Facebook. The more places you get the word out about your videos, the more potential customers you’ll reach.